Lorkie was a Roofbird. His best friend was Brian, and they had been friends since they were eggs.They lived in the Valley of Roofs, where every bird had a song to sing except Lorkie. 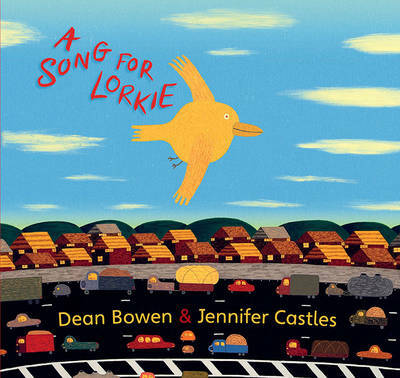 Lorkie couldn't sing, until he found a new home in the middle of the Argy-Bargy roundabout.Brilliant pictures from internationally acclaimed artist Dean Bowen harmonise perfectly with Jennifer Castles' sweet and surprising text in this delightful book for children and parents to read aloud together.